If there's a city that knows how to party, it's Boston. After all, as the Cradle of Liberty, City of Champions (Red Sox, Celtics and Patriots) and home to coeds at Harvard, BU and several other universities, the one-of-a-kind American city has plenty to celebrate. Why not add your bachelor / bachelorette party to the mix? Planning a bachelor party, bachelorette party or getaway with friends? Send online invitations and manage group trip details with LastBash.com, the easiest way to organize your friends. It's FREE - Get started now! 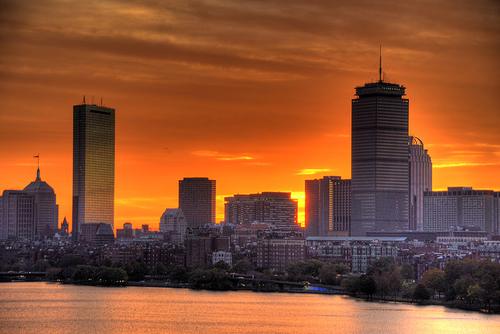 Treasure the country's and the city's history as you walk along the Freedom Trail. Explore the marketplaces that line the quaint brownstone streets. Root on the sports teams at Fenway or the "Gah-den" with the Boston faithfuls. Grab a beer or two at the Sam Adams Brewery or the legendary Cheers Boston. Sample a bowl of chowder or a good plate of seafood. And when night falls, kick your party into full gear in the city's vibrant night spots.